Auto accidents in Tampa are a part of every day life and can happen to anyone at just about anytime. 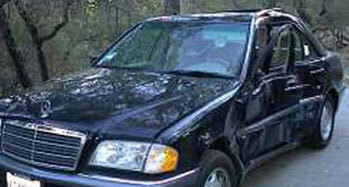 Most auto accidents in Tampa are minor and do more damage to the vehicle than the people inside. But it is always best to get checked out. The truth is that injuries from auto accidents can show up years later, so it is best to take a look as soon after the accident as possible. With our new laws in Florida, it is imperative to seek medical attention within two weeks of your accident, or you will not have any personal injury benefits. Our Tampa based auto accident Chiropractor, Dr Scott Barry and Dr. Suzanne Thatcher will make sure that you are treated in a professional manner, as we assess your injuries, develop a course of treatment (only if necessary) and work with you to explain your benefits and help you navigate the whole process. Many times, Physical Therapy or Occupational Therapy might be what's needed. If our Doctors determine that would be a better route, we have a full rehab gym with Therapists that will be able to work with you. We work with most insurance companies to provide chiropractic care. If you have another company. check your book and you might be surprised to find us there too. The insurance process for auto accidents can be confusing, which is why our staff is trained to help guide you through it, explaining your benefits and options and helping you every step of the way. We assist you with getting the proper tests and even work with your MD to make sure we are all on the same page for your care. The most common injuries sustained in car accidents in Tampa are to the neck and back. Whiplash is the most common ailment and occurs when the head is suddenly thrust forward and then backward when a car is rear-ended. Whiplash is a non-medical term used to describe neck pain following an injury to the soft tissues of your neck (specifically ligaments, tendons, and muscles). It is caused by an abnormal motion or force applied to your neck that causes movement beyond the neck's normal range of motion. The speed of the cars involved in the accident or the amount of physical damage to the car may not relate to the intensity of neck injury; speeds as low as 15 miles per hour can produce enough energy to cause whiplash in occupants, whether or not they wear seat belts. It is always important to seek medical care after a car accident if you feel pain or stiffness, even if it doesn't appear right away. Often, a person may be in shock or have a rush of adrenalin, so doesn't realize he or she is injured. That is why symptoms often seem to "appear" the next day. You must seek medical attention within two weeks of your accident or you will not have any medical benefits. Sometimes, rest is the best cure, but you should always have the injuries checked out to rule out more serious issues.